Brig. 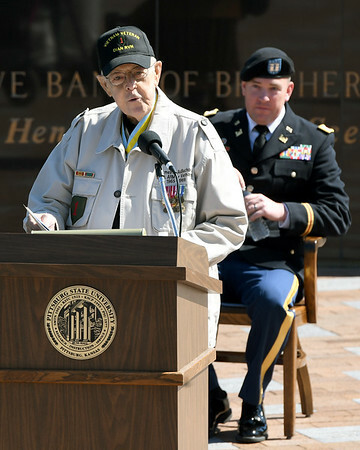 Gen. James M. AuBuchon addresses the crowd during Memorial Day ceremonies on Monday at the Pittsburg State University Veterans Memorial. Looking on is PSU Army ROTC Cpt. Chad Murrow.